We believe in common sense, curiosity and natural ambition. 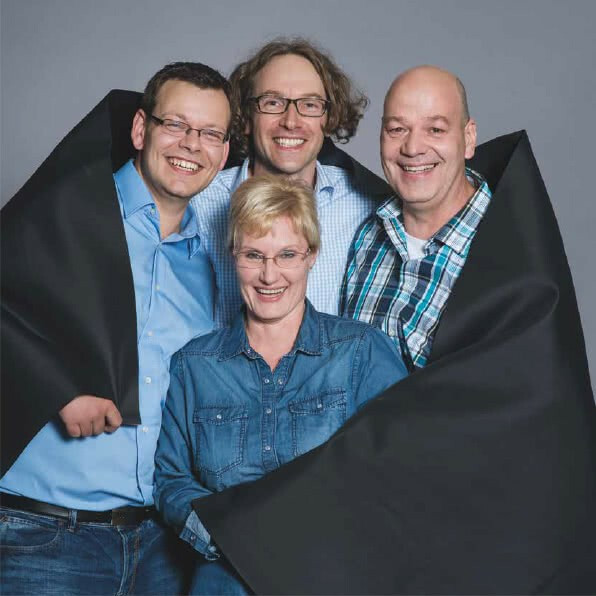 Flexibility and sustainability are not only the hallmarks of our EPDM products, but they are also a fundamental part of our corporate culture. CCM Europe is a vibrant company that sees diverse characters, personalities and mindsets as an asset. We are always open to new ideas and consider suggestions from our teams regardless of their position or wage bracket. Flat hierarchies facilitate straightforward communication and therefore fast action. To ensure that our employees feel happy and supported, we offer secure jobs with long-term prospects, excellent social amenities and space to grow. Read three real-life reports here! Looking for a career with CCM Europe? CCM Europe is a company that thrives on its team spirit and short decision-making pathways. So, in addition to purely professional qualifications, it is important that our new team members really integrate with the company and existing colleagues. We are delighted that you are interested in working with CCM Europe. You will find our current vacancies and all our available jobs here. Alternatively, you are welcome to send us your latest CV.